We joyfully carry the spirit of Lent within our culture at Blood:Water. As we move closer to this season of Lent, we invite you to join us in celebration of Christ’s love by helping us provide 3,750 people in Africa with safe, clean drinking water. Throughout the 40 days of Lent, we ask that you Save a Drink with us. But first, you have the opportunity to purchase a toolkit to help prayerfully guide you through the Lent season! 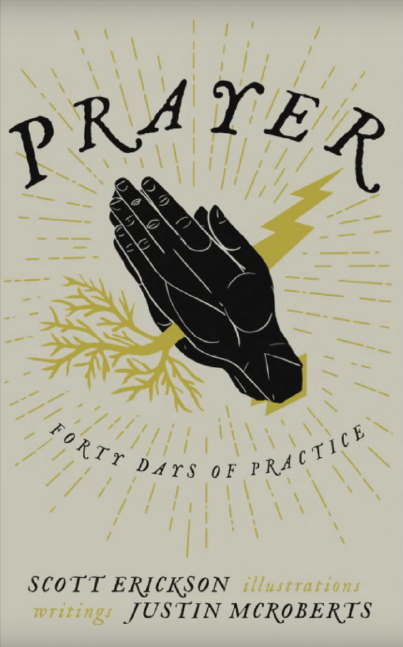 Our Lent toolkit includes a new book, “Prayer: Forty Days of Practice,” by Justin McRoberts and Scott Erickson, as well as a custom T-shirt designed by Scott, and a Blood:Water sticker and water bottle. Check it out in the Blood:Water store! By purchasing your toolkit before Tuesday, January 19, you will be able to join with us in the spirit of Lent while also helping provide clean water for our friends in Africa! And, if you would like to get a head start on your Save a Drink, Save a Life fundraising page, you can sign up here.